So my first ever product review as the Gordons Chemists blogger in residence and I’m going to go for the Sally Hansen Complete Salon Manicure. Now I’m sure I’ve mentioned Sally Hansen nail varnishes before – I have TONS of them as they are one of my favourite brands. They come in just about every shade you can think of – with new ones launching all the time – and are a very reasonable £6.99 for such a high quality product. 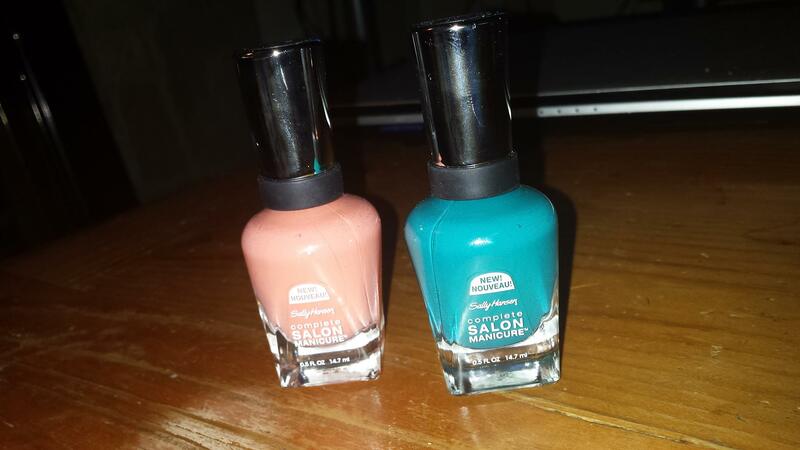 Gordons Chemists sent me two shades to try out – Blue Streak and Tahitian Sunset – and I went with the Blue Streak. I love them both but I’m saving the Tahitian Sunset for sunny days (looks despairingly at grey sky). Colour me impressed, I didn’t even use a base coat, just two coats of varnish. I’ll say again that I really do adore these varnishes. Not only do they stand the test of time on your nails but in the bottle too. Not one has ever gone all gloopy and sticky on me, they’re more likely to run out completely than to do that. The Sally Hansen Complete Salon Manicure is available from Gordons Chemists or from http://www.gordonsdirect.com. You can find the varnishes by following this link but the site also features other wonder products by Sally Hansen; Gem Crush top coats, nail strengtheners and cuticle treatments. 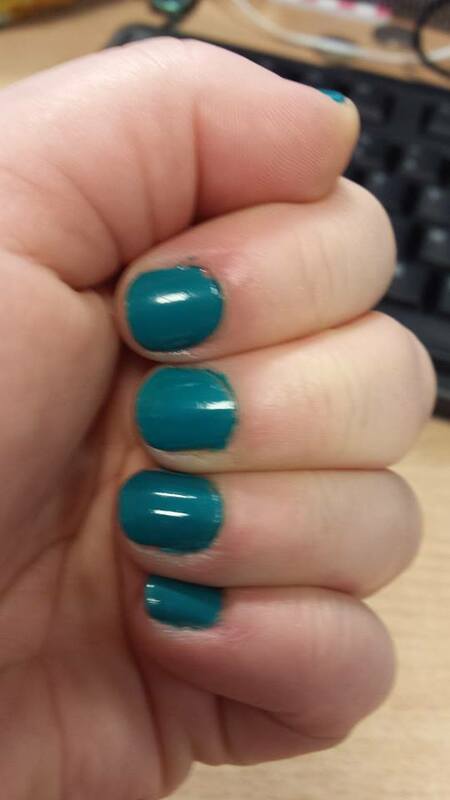 So my advice is that if you’re only going to buy one nail colour this month, make it Sally Hansen from Gordons Chemists. I love Sally Hansen quick dry to apply over your polish! I would never have painted nails if it wasn’t for this product!